Looking to buy a used Ford Ranger? 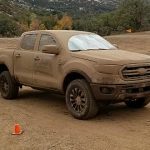 Due to the popularity of the Ford Ranger and the fact that Ford produced over 7-million of them, there are plenty of good used Rangers out there. What are the known problems with each year? What are the Ford Recalls? What kind of mileage does each year get? What should I look for when looking at the truck? With any vehicle, some years have more reported problems than others. 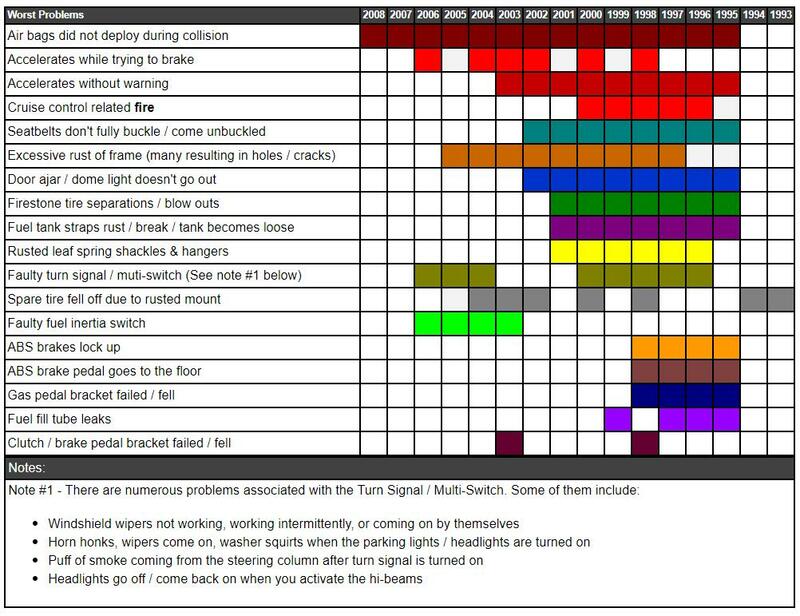 The chart below gives you an idea of the reported problems for each year. Here is an overview of the worst problems reported with the Ford Ranger. There are other problems depending on the year, so it’s best to click on the year links above to see the problems and recalls listed for the model year you’re looking at. 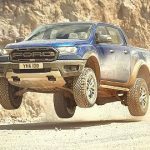 We have a complete chart showing Ford Ranger gas mileage for each year, and for each engine and transmission combination. Click HERE for the Ford Ranger Fuel Mileage page. Rust – Rust is one of the biggest problems you’ll encounter when buying used pickups. It’s important to note that the 1997-2005 Ford Ranger appears to have a major rust problem with the frame. 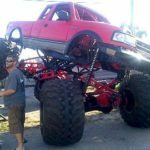 Irregardless of how clean the body looks, you need to look under the truck and inspect the frame for holes, crack, rusted cab or bed mounts, gas tank straps, and rusted shackles and spring hangers. Also check to see if the spare tire is missing, or about to fall off. And while you’re under there, check the front suspension for excessive rust that may cause it to fail. Also check the rear bumper to see if it’s about to fall off from excessive rust. * Be aware that the 1996 Ranger has reports of broken bolts that holds the power steering box to the frame. Be cautious if the vehicle is running when you arrive to look at it. Turn the vehicle off and let it set for a while why you look it over. Also be concerned if the engine is warm when you show up to look at it. This could be a sign that there is problems with the engine or hard starting. You are going to test drive it right? When you start the engine, have someone look for smoke from the tail pipe. This could be a sign of bad rings or seals. Check the engine fluids. Check the transmission and make sure the fluid isn’t dark and have a burnt smell. Check the engine oil to see if it looks milky white. This is a sign of coolant getting in to the engine from a bad head/gasket. If it has manual hubs, check to see if they lock and for any cracks or damage. When you drive the vehicle, engage the transfer case and test the 4wd. Place the case in 4Lo because the vehicle will creep and you’ll be able to feel the low gearing. 4Lo is an easier range to FEEL if the vehicle is in 4wd than 2Hi. When you drive the vehicle check for strange noises, handling, steering, and check the transmission in all the gears. The 1998-2000 Ford Ranger 4×4 has a vacuum actuated front locking hub that is very problematic. It’s best to just replace them with aftermarket locking hubs. Click HERE for more information. Make sure it shifts smoothly. Watch out for signs of delayed shifts, acting like it hangs up in neutral between shifts, or harsh down shifts. Make sure it doesn’t jerk forward when you start out in Drive. Make sure manual transmissions shift smoothly as well and that the clutch is working properly. make sure the O/D light isn’t on. Make sure the brakes work properly and don’t lock up. You should have good peddle pressure. The brake peddle should not go to the floor. Make sure the truck doesn’t try to accelerate when you apply the brakes. If the vehicle has air conditioning, check to see that it works. Check the settings on the heater and ensure the fan turns at all speed settings. Check the heat settings and work it from hot to cool. Some Rangers such as the 1997 had faulty blend doors that get stuck in a position that only blows hot air. See more information HERE. Check the turn signal / multi-switch. Make sure the lights, turn signals, wipers, and washer fluid all works. Check to see if the cruise control actually works. Check for melted cruise control buttons on the steering wheel, and check the plugs on the master cylinder under the hood to make sure nothing looks melted. Make sure the door ajar and dome lights go out when the doors are shut. Check to see that the seat backs haven’t broken, and that the seat belts properly buckle and unbuckle. Make sure the buckles actual lock in place. Be aware that the 2004 Ford Ranger had reported issues of the rear window popping out from the occupants leaning back against it. Look for gaps or signs of leaks. Be aware of the recalls for the model year you’re looking at (Use the ‘Choose A year’ chart above). Make sure you check with a dealer to ensure all the recalls have been done on that vehicle. For more information on the Ford Ranger 4-Wheel Drive System, click HERE. Rear Axles (1983-2011) – From 1983-1989, the Ford Ranger came with a 28-spline 7.5-Inch rear axle. Starting in 1990, the 4.0L equipped Ford Rangers came equipped with the stronger 28-spline 8.8-inch rear axle. The 7.5-Inch rear axle did not go away in 1990. Ford continued using it in the 4-cylinder Ford Rangers. 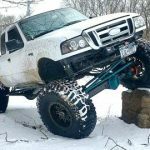 In 2002 Ford introduced the FX4 Ranger and the 8.8-inch axle jumped to a 31-spline axle count and was fitted with a Torsen limited-slip differential. Not all FX4’s received the 31-spline 8.8-inch rear with the Torsen limited slip differential. Only the 2002 FX4, and 2003-2007 FX4 Level II’s came with the 31-spline 8.8-inch rear. In 2008-2009, the 31-spline 8.8-inch rear was optional. The 8.8 is a great rear axle with heavy aftermarket support. Front Axles (1983-1997) – Ford Rangers appeared with a reverse cut Dana 28 TTB (Twin Traction Beam) 4WD front axle in 1983. In 1990, Ford Introduced a 4.0L V6 to its engine lineup, and along came the larger Dana 35 axle to handle the increase in power. The Dana 35 is the preferred axle and has good aftermarket support. The Dana 28 is a weak axle, and no longer has aftermarket support. 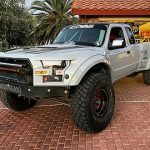 Front Axles (1998-2011) – In 1998, the Ford Ranger went to a Dana 35 SLA front axle. The Dana 35 SLA switched from a reverse rotation gear to standard rotation gear. The gears in a 1997 and older Ranger/Explorer will not work in the 1998 and newer Rangers. The 1998-2000 Ford Ranger 4×4 came with Pulse Vacuum locking Hubs. They are known to be problematic due to leaking vacuum lines. The good thing is that you can replace the vacuum hubs with manual hubs. Click HERE for more information. The 2001-2011 Ford Ranger 4×4 has a live front axle setup, and doesn’t not use locking hubs. Automatic Transmission – If you’re looking for an off-road vehicle with an automatic transmission, the 1995-1997 4.0L 4×4 is the best choice. In 1995, Ford replaced the weak A4LD automatic transmission with a stronger 4R55E (behind the 4.0L V6. The 4R44E was behind the 4-cylinder and 3.0L V6). These Rangers also came with a 8.8-Inch rear axle, and Dana 35 TTB front. These Rangers are cheaper to lift, have more lift options, and will get more wheel travel than the 1998-2011 models. Manual Transmission – If you’re looking for an off-road vehicle with a manual transmission, the 1991-1997 4.0L 4×4 is the best choice. These Rangers came with the M5OD-R1 5-speed, 8.8-inch rear, and Dana 35 TTB front. These Rangers are cheaper to lift, have more lift options, and will get more wheel travel than the 1998-2011 models. Transfer Case – The Ford Ranger has only had two transfer cases, the BorgWarner 1350 (pre-’90) and the BorgWarner 1354 (post-’90). Though both are aluminum housing, chaindriven cases, each had a slew of variations that ranged from electronic and mechanical shifters to a small variety of yoke and flange mount options. Since we’re partial to the ’90 and newer trucks, we suggest looking for a truck with a 1354 that’s equipped with a mechanical shifter. Both cases have the same 2.48:1 low range. 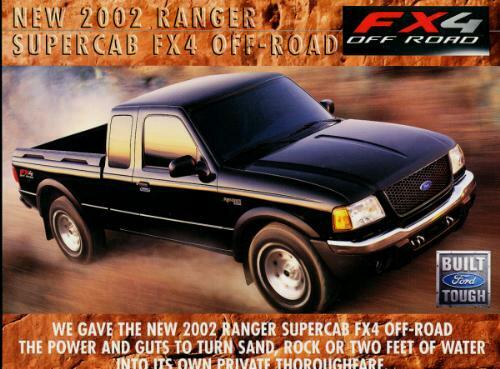 FX4 – If you want a newer style Ford Ranger, look for a 2002 FX4, or a 2003-2010 FX4 Level II. 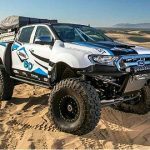 The FX4 Level II version comes with a special 31-spline 8.8-inch Ford 8.8 rear axle equipped with a Zexel-Torsen limited-slip differential, three skid plates, upgraded tow hooks, 31″ BFGoodrich All Terrains, 15-inch forged Alcoa wheels, and Bilstein shocks. Inside, the Level II package added two-tone cloth seats, optional leather and rubber floors along with a six-CD MP3 headunit as standard options. The FX4 level II package was first available in 2003, though, in 2002 the very first “FX4” package, however not Level II, was available. The 2002 FX4 off-road package is identical to the 2003+ FX4 Level II package, since there wasn’t a FX4 Level II package offered. The best 2-wheel drive Ranger is really a matter of personal preference. 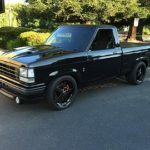 Ford used an A4LD transmission from 1985-1994, and would be considered the weakest link in the truck. Other than that, some buy them based on price, economy, or body style. We believe the 80’s style Rangers still make the coolest mini trucks. The 1983-1997 Ford Ranger used a Twin I-Beam front suspension. The 1998-2011 Ford Ranger used a SLA control arm front suspension. Lowering these vehicles require different components.